Coastal Gallery Lymington has introduced a small range of art-inspired accessories to its gift selection. Bev and Stewart are always on the look out for stylish new additions to the collection, so watch this space! 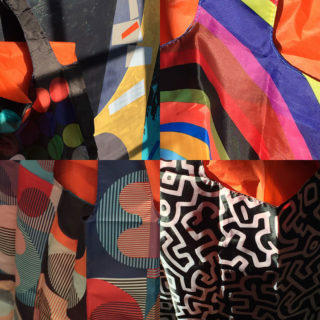 Currently in stock are stunning luxury cashmere scarves by London -based designer, Gohar Goddard, and richly coloured tote bags inspired by the work of leading artists, including Keith Haring, Damien Hurst and Jackson Pollock. Bev first spotted LOQI tote bags in the Ashmolean Museum Shop in Oxford, and thought they would be a great addition to Coastal Gallery’s selection of art-inspired gifts. 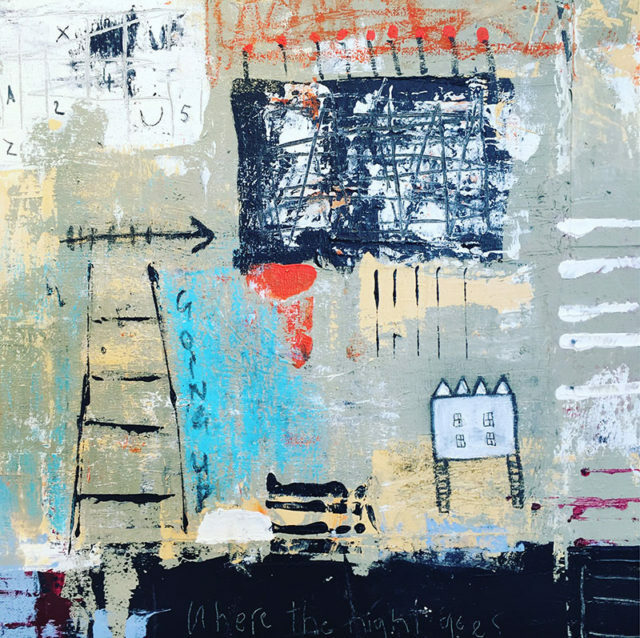 Coastal Gallery stocks designs from LOQI’s Museum range, carefully curated from the world’s finest museums, from The Louvre to The Tate, Mondrian to Magritte. Currently available at Coastal Gallery are tote bag designs inspired by Robert Delauney, Poul Gernes, Keith Haring, Kazmir Malevich, Piet Mondrian and Jackson Pollock. Each bag retails at £10 and comes in a neat zipped purse . A LOQI tote bag puts style and colour into shopping. Damien Hirst was born in Bristol in 1965. He first came to public attention in 1988 when he staged the now famous Freeze exhibition in a disused London warehouse. The exhibition included Hirst’s own work and that of his fellow Goldsmith’s College students, Sarah Lucas, Angus Fairhurst and Matt Collishaw. Since those early, heady days, Damien Hirst has become internationally recognised as one of the most important artists of his generation. He lives in Devon and has studios in London and Gloucester. 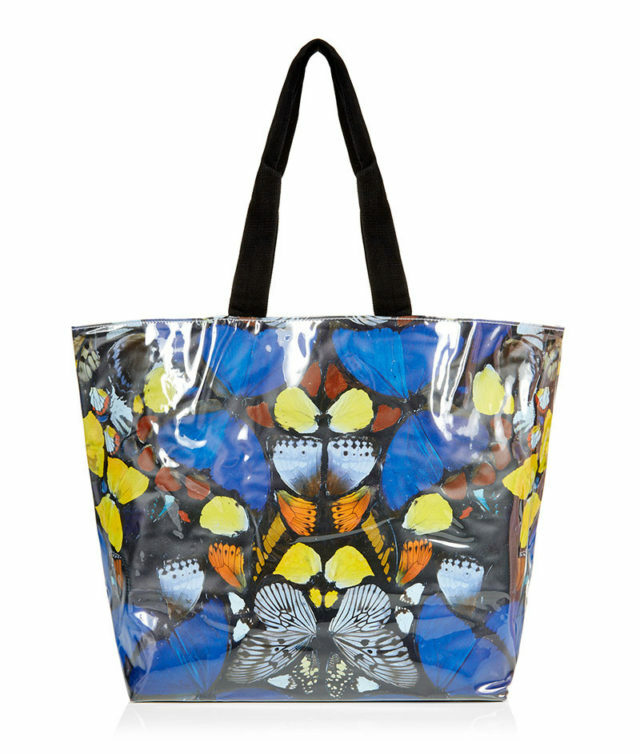 Coastal Gallery is delighted to stock a stunning PVC tote bag, first produced for the Damien Hirst solo retrospective exhibition at Tate Modern in 2012. The bag design features a close up image of Hirst’s 2007 painting, Doorways to the Kingdom of Heaven from his Kaleidoscope series. The series explores the spiritual symbolism of the butterfly, and caused huge controversy as Hirst incorporated real butterflies in the artwork. The bag retails at £25 and is 360 x 350 x 190 cm in size.